I have quoted Ben F. many times, yet this one the most. I’m afraid the American people have sold liberty for cheap security. 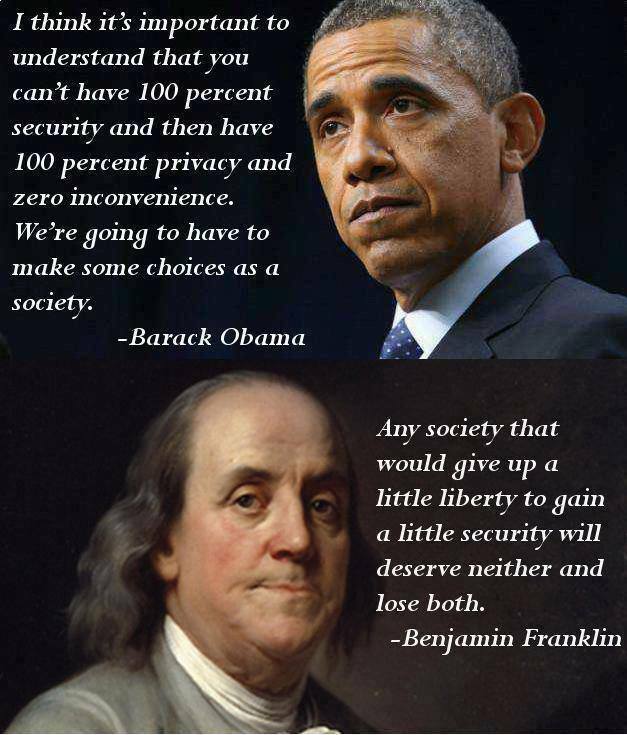 Both of those quotes illuminate the reason why I’ve always opposed the PATRIOT ACT! We either choose Liberty or security, we cannot have both!